Today, we have a couple of interesting updates in this Developer build. We tweaked how the browser previews tabs, so the UI works better, feel faster and is less likely to get in the way. Additionally, this build enables H.264 support for Windows (further work will be needed before it is available for the other desktop platforms). The primary advantages of a large tab preview are to help visually locate a specific tab and quickly check on a dynamically updating tab’s contents (e.g., Gmail or Twitter), without losing track of the page you are currently viewing. These benefits are really for users working with large numbers of unorganized tabs. 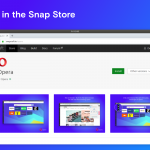 You, like many of us at Opera, might have a ton of tabs open for any number of reasons: opening multiple articles from the same website site, comparing pricing from several online stores, and the like. We hope that our preview changes will allow you to handle greater numbers of tabs effectively. On the flip side, we realize that with very few tabs, the titles and positions are enough for most people to locate quickly and switch between their open tabs. This can also hold true for users with quite a few tabs, if the person is always well structured and keeps their tabs well organized. With our previews, we hope to assist those who work with many, many open tabs, without intruding on the experience of those who don’t. The previews should not get in the way or be distracting when working with well-structured or limited numbers of tabs. It’s an experiment, so be sure to let us know what you think. We decided to turn off previews for tabs when using keyboard shortcuts. In our current implementation, the preview does not assist in locating tabs or checking on them, since you are committed to the change on release of the control key. We tweaked the timing, too. The timing for the initial display of preview (600 milliseconds) will not begin until the cursor comes to a complete stop. We no longer restart this timer when mousing over the active tab or when closing a tab and another moves into its place. We also sped up some of the animations. Finally, we added two settings to the Preferences page: a general control that allows you to disable the entire preview feature and a power-user setting that allows you to tweak the initial timeout to a value of your choice. If you do tweak the timeout value, please give us feedback as to why you felt it needed changing, what you changed it to and if you use a mouse or a touchpad. This build introduces support for H.264 video playback on Windows. H.264 video is widely used on the internet, and we don’t want you to miss out on any of this content. 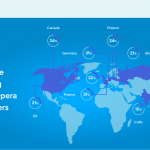 If you know of sites that use H.264 video and you use the Windows platform, please try Opera on those sites and let us know how it performs. Occasionally, YouTube sends H.264 video content to its users, particularly so if they have opted in via www.youtube.com/html5. However, not all YouTube videos use the H.264 codec. You can check this by right-clicking on the video and (if available) looking at “Stats for Nerds” menu item. This will allow you to see which codec you are using.